5. What to do after you install Sonarr on Ubuntu? AtoMiC ToolKit lets you install Sonarr on Ubuntu server in an automated way. Regardless of how little or how much you know about software installation, this will be helpful. 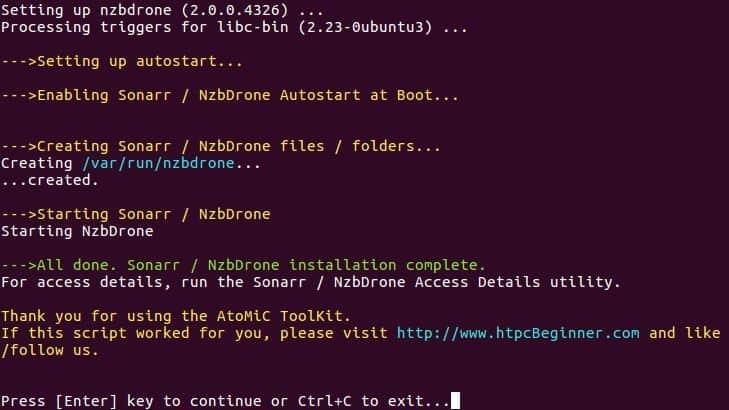 If you are a beginner, the AtoMiC ToolKit will guide you through the steps to install Sonarr. If you are an expert, you will save time with this software. 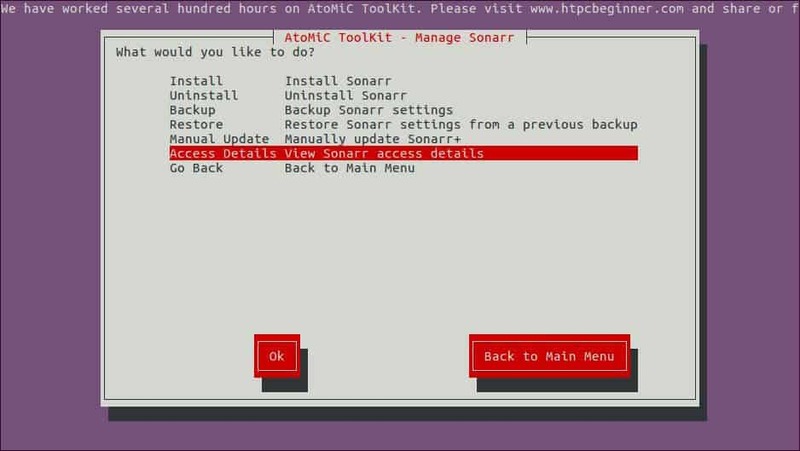 You can use AtoMiC ToolKit to install Sonarr on Debian, but this is yet to be tested. 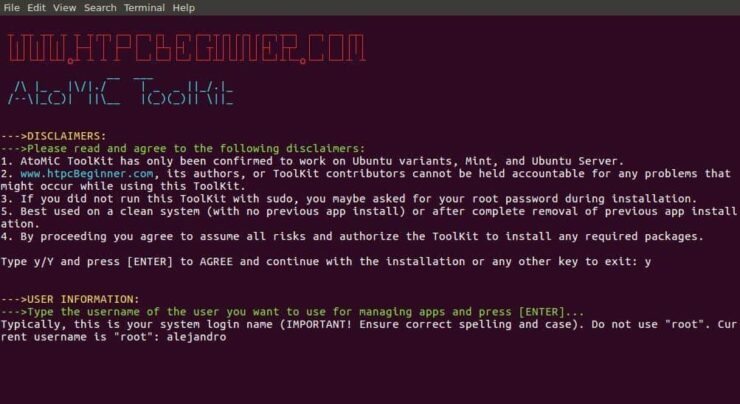 To install Sonarr on Ubuntu server with the AtoMiC ToolKit, you first have to download and install the tool on your system. After you install AtoMiC ToolKit, you can use it to get more apps on your system via its new GUI. These commands have to be executed one at a time. After that, provide an username for you to run the Sonarr install. In the picture the username selected is alejandro, which was the username set on the machine. However, you should typically choose your system login name to avoid conflicts. Press enter to continue with the Sonarr installation on Ubuntu. 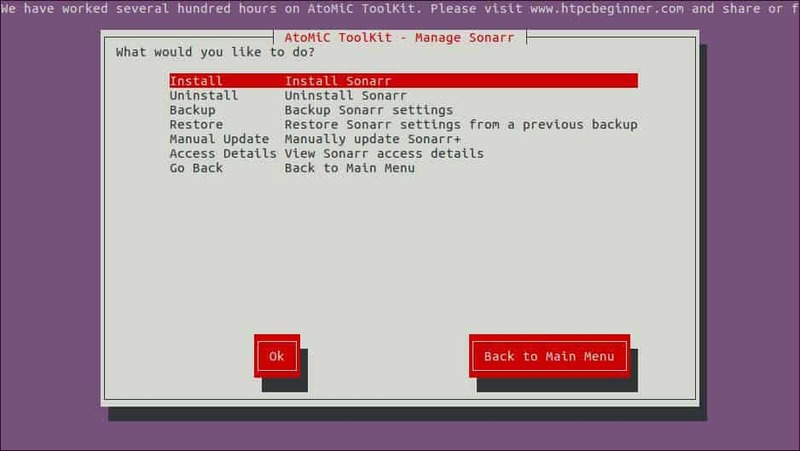 From AtoMiC ToolKit main menu, select Sonarr with the arrow keys. After you get the right option, press Enter. Select Sonarr from the GUI menu offered by AtoMiC ToolKit and press Enter. Next, select Install Sonarr and press Enter to install Sonarr on Ubuntu. Select “Install Sonarr” to start the installation process. Make sure the correct script is selected. You should see AtoMiC Sonarr Installer Script in green letters. Press Enter to confirm your selection. You have successfully completed the process to install Sonarr on Ubuntu. Now you can check a few things with the help of AtoMiC ToolKit. You can access Sonarr locally from the URL https://localhost:8989 with any web browser. If you want to know how to access Sonarr from any system, AtoMiC ToolKit can help you. It does not matter if it's a local or remote system. Select Access Details from the Sonarr submenu in the AtoMiC ToolKit GUI. With the “Access Details” option you can check the access URLs for Sonarr, depending on your particular setup. 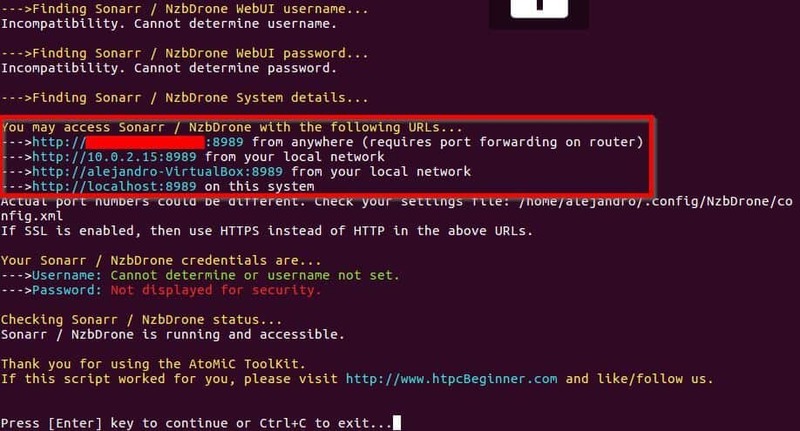 The script will run and then show you the URLs you can use according to your setup on its output. Use one of these suggested URLs depending on your needs in order to access Sonarr installation on Ubuntu. On a successful Sonarr installation, you will see the empty Sonarr downloads dashboard and a button to start adding series when you use Sonarr for the first time via a web browser. After you install Sonarr on Ubuntu and access through a web browser you will see an empty media list. This is OK as you have not downloaded or searched for anything yet. Start adding sources to download your TV shows from and enjoy the versatility of this useful downloader. 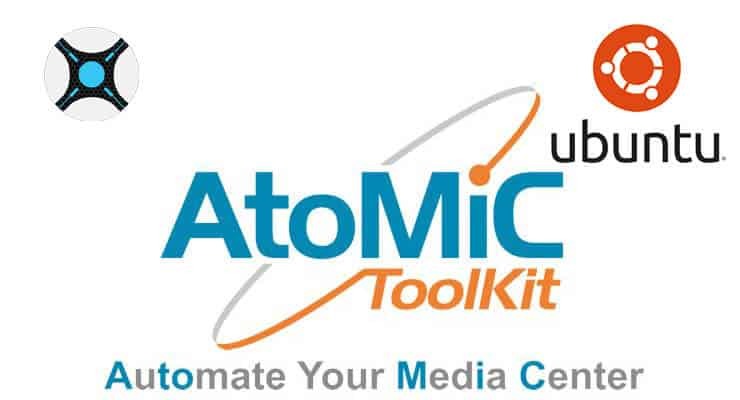 Enjoy using AtoMiC ToolKit to enhance your home server functionality!